Shahrokh Yadegari joined the Department of Theatre and Dance at University of California, San Diego (UCSD) in 2004 to establish a progressive sound design program, which he currently directs. He is a researcher at the California Institute for Telecommunications adn information Technology (Cal-IT2) and the Center for Research in Computing and the Arts (CRCA). He has worked as a senior software architect and enginner in companies such as Sun Microsystems and Interactive Systems Corporation from 1984 to 1990. 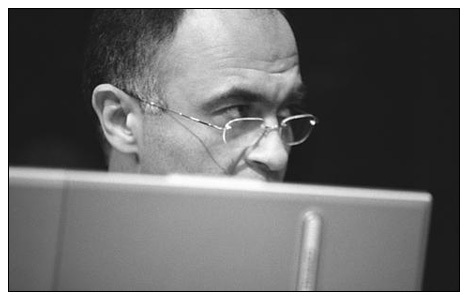 He has also worked at Institut de Recherche et Coordination Acoustique/Musique (IRCAM, at the time directed by Pierre Boulez), and from 1993 to 2001 he was the artistic director of Persian Arts Society, and Kereshmeh Records. His music has been played internationally in various venues such as the Japan America Theatre in Los Angeles, International Computer Music Conference (ICMC in China, Cuba, Spain, etc. ), the Institut für Neue Musik und Musikerziehung, Darmstadt, Aratani Japan America Theatre in Los Angeles, and Contemporary Museum of Art, San Diego. Yadegari's areas of research include the use of interactive computing for live music and theatre performances, spatialization, and applications of non-linear dynamical systems for synthesis. Among his recent projects are the sound design for The Children of Herakles directed by Peter Sellars, the music for Garden of Lila, (a multimedia dance piece in collaboration with the choreographer Yolande Snaith), the music for The Sanctuary, a video installation by Vibeke Sorensen, and (The New) Ur Sonata, a collaboration with percussionist Steven Schick. Yadegari holds a Ph.D. in music from University of California, San Diego, a Master's in Media Arts and Technologies from Media Lab of Massachusetts Institutes of Technology and a bachelors of Science in Electrical Engineering from Purdue University.